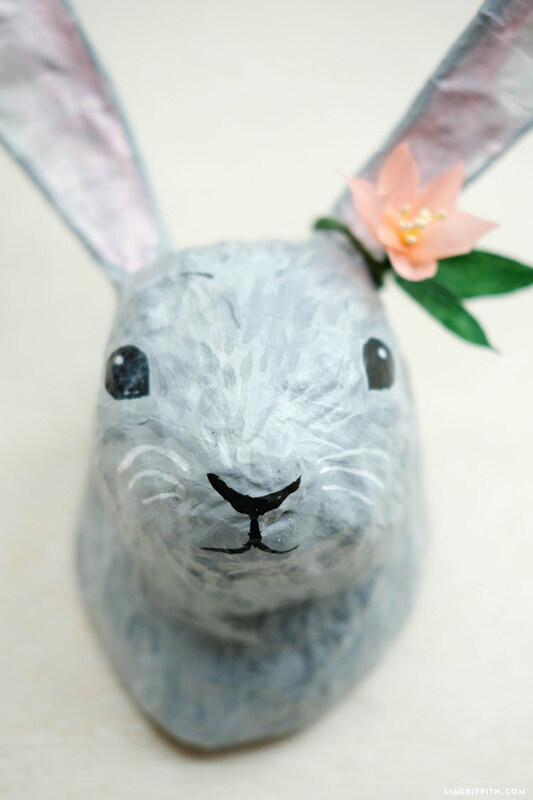 Our guest designer Jessica from Bramble Workshop is at it again with another gorgeous paper mache project that you can incorporate into your home decor (be sure to check out these paper mache cacti if you missed them!). 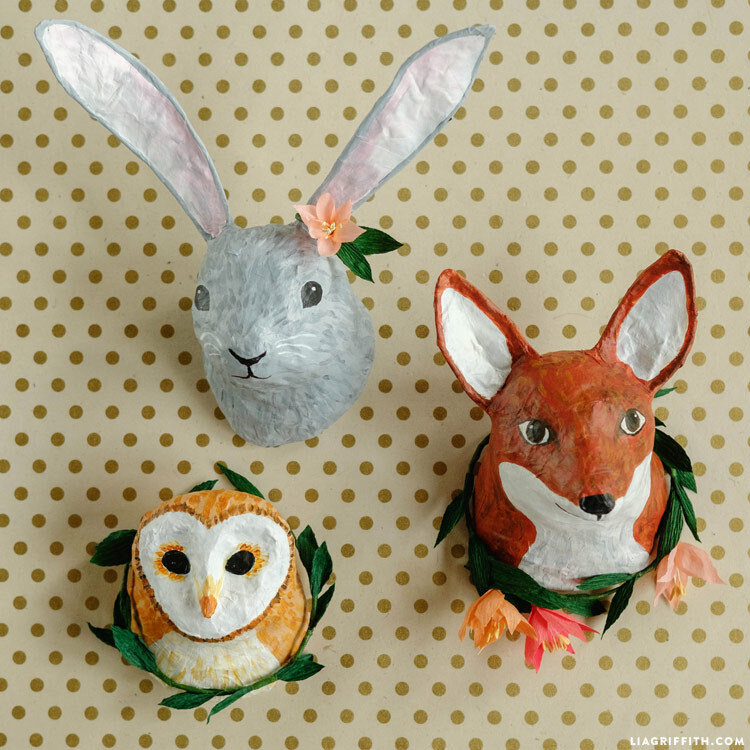 Today’s project is a set of paper mache animal heads with a woodland theme. 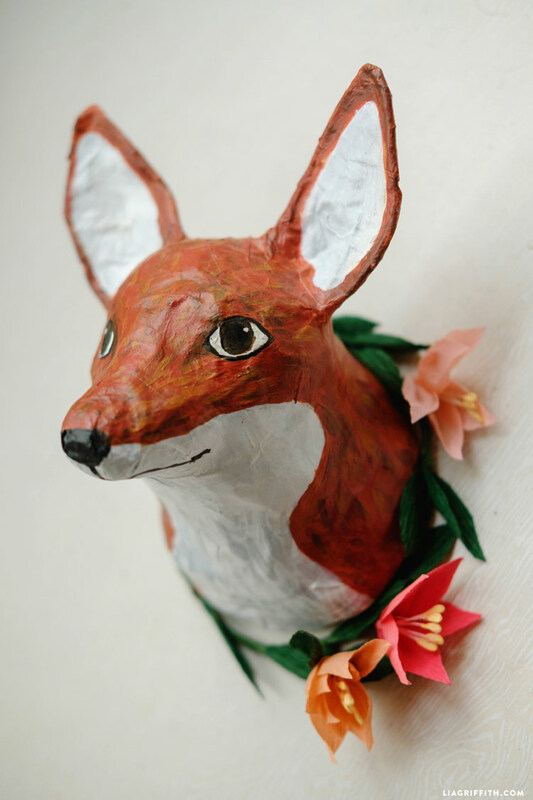 We’re calling these adorable animal heads our cruelty-free taxidermy. And we promise they are much more fun to make than real taxidermy too! These cute characters are a great way to add a bit of whimsy to a room, and because you are making them yourself you can easily do some customizing with designs or color palettes. Follow our tutorial below, or let this technique inspire you to make your own creations! You can find the tutorial for the crepe paper wildflower wreath here! Print the PDF template below. Cut foam core circles and bend floral wire according to the template. Crumple small balls of newspaper and begin taping to foam core circle. The circle is the base of the head and will hang flush with the wall. Push the wire ear forms into the head, securing with hot glue. Refer to the photo tutorial for a visual guide! Cover the entire head and ears with masking tape. Rip newspaper into strips. Dip each strip of newspaper in wheat paste, removing excess by sliding two fingers from the top to the bottom. Apply overlapping strips around the animal head until it is covered. 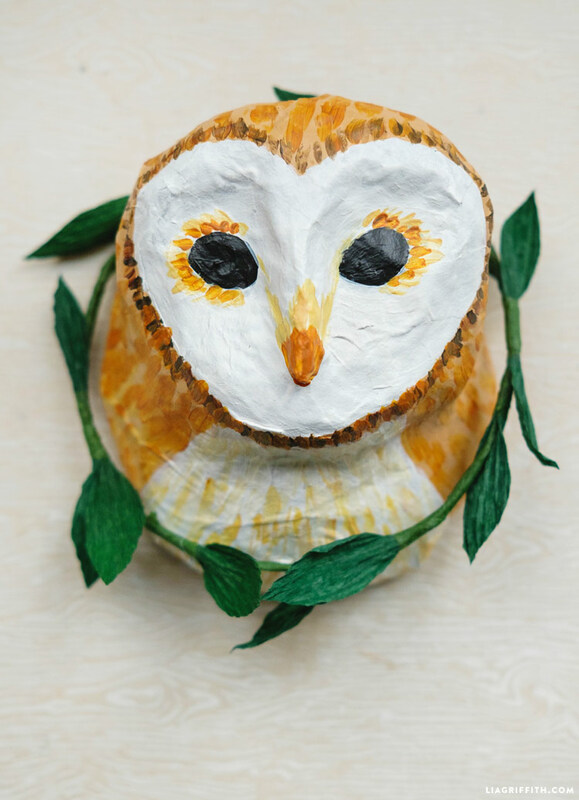 Let the paper mache dry overnight, then paint the head with white paint. After the paint dries, draw the animals features (eyes, nose, etc.) with pencil. Using the pencil drawings as your guide, paint the head in your base color. Paint detailing on animal head, mixing colors. After drying, screw eye hook into the back center of the head and add some hot glue to secure. This is what you will use to hang the head on the wall. Adorn with a Crepe Paper Wildflower Wreath! 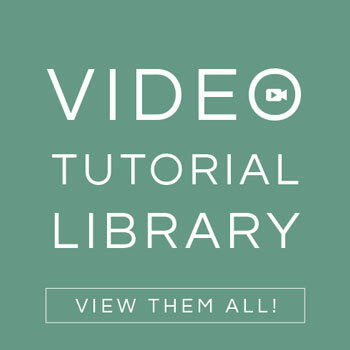 The steps in our tutorial are specifically written for the rabbit, but you should use the same general technique for the other two animals as well. While you are bringing your characters to life, think about the 3-D shape of the animal’s head. We recommend referring to photos of the animal from different angles to help you. As you can see in our photos, we dressed up our characters a bit with some crepe paper wildflowers and wreaths. Stay tuned for the tutorial for these pretty blooms in an upcoming post! 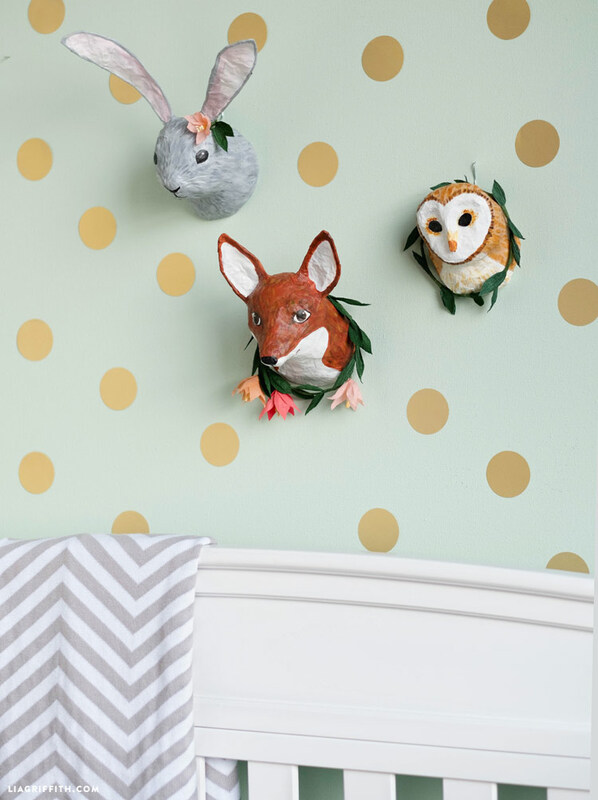 Once you are finished with your paper mache animal heads, we love the idea of using them as nursery decor or accents for a kid’s bedroom. 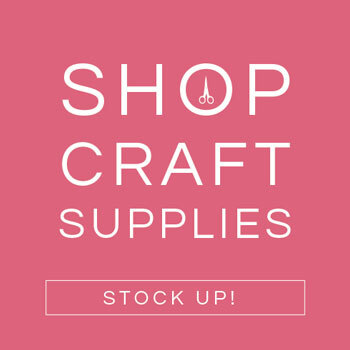 We are hanging them up in the studio to give us crafty paper inspiration for future projects, so get creative with how you want to display these! do you have a video of this??? Sorry we don’t have a video! 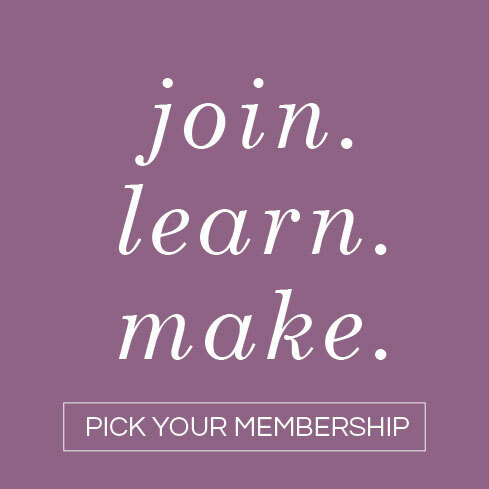 You can reach out to Jessica from Bramble Workshop who designed them if you have specific questions about how they’re made! Where is the tutorial for the flowers? I would love to add some to my rabbit I just made! W o n d e r f u l ! Thank you so much for sharing these adorable sculptures! I look forward to more of your paper projects! Hi. I would love to make these!! Where can I find foam core? It is not mentioned in your materials. You’ll find it where poster board is sold at craft stores, or sometimes it’s available at the grocery store! amazing! i cannot wait to make these! Thanks for the great ideas! You’re so welcome, have fun!